Hi everyone! Hope your all doing well. 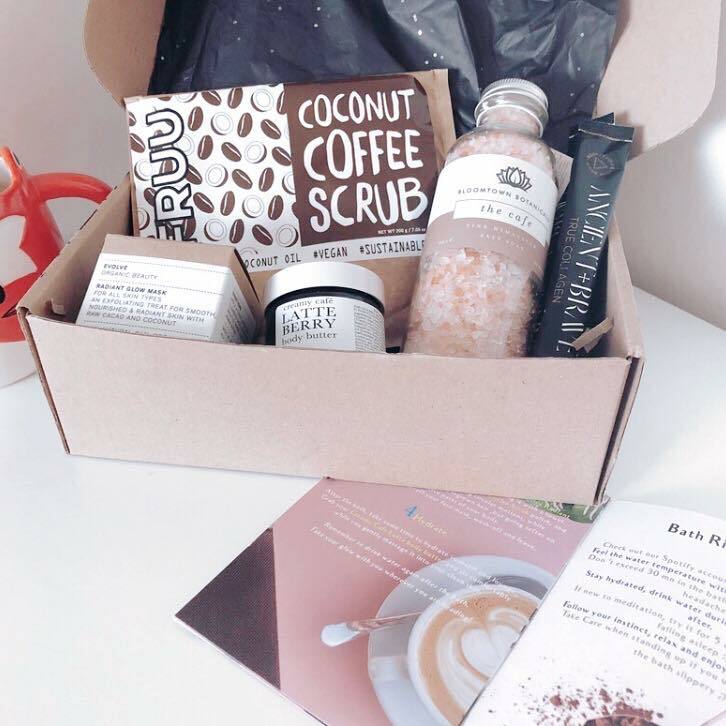 Todays blog post is about a cruelty free, ethical, bath and skincare subscription box. If your anything like me, then you love receiving post. Especially when its a box full of skincare and bath goodies! Which is exactly what you get when you purchase a Salts & Sage subscription box. 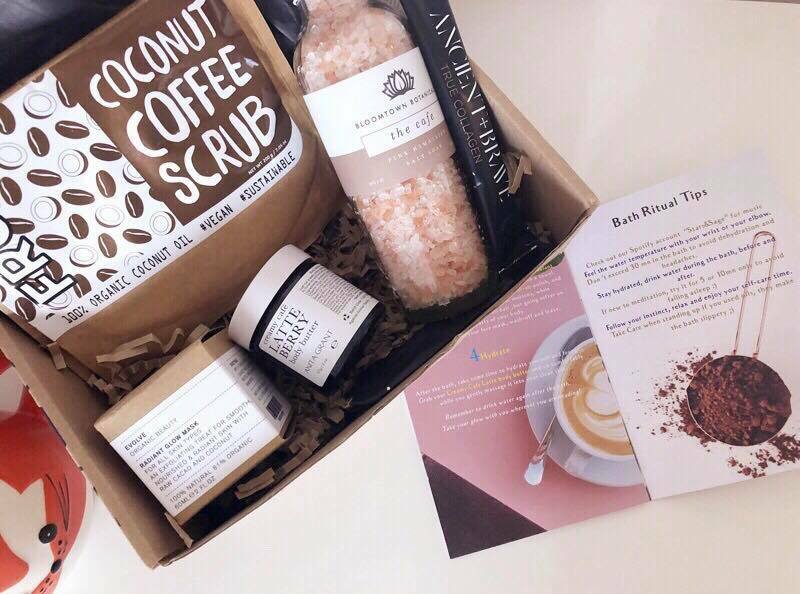 Subscription boxes are like little surprises sent to your door, whats not to love? I love subscription boxes because you get to try new products every month and some of those products might be new ones that you haven’t heard of or ones you wouldn’t usually buy but end up loving. It’s a great way to try out products from different brands. I decided to try the stars & sage subscription box. 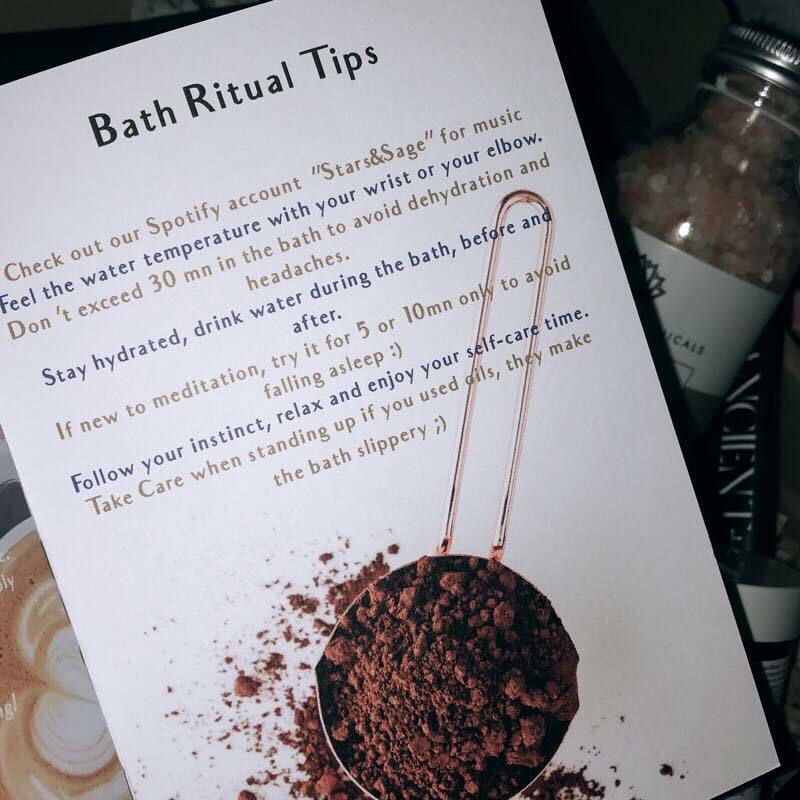 It’s a bath ritual, spirited holistic self care box and all of their products are ethical and cruelty free! You typically receive 3 to 6 products every month depending on the size, ranging from skincare (such as bath salts, body scrubs, oils and creams or face care) to bath and meditation accessories (such as candles, incense, crystals etc) You receive a great range of lovely products, perfect for a cosy night in. Stars & Sage costs £27 a month plus £2.90 for postage. 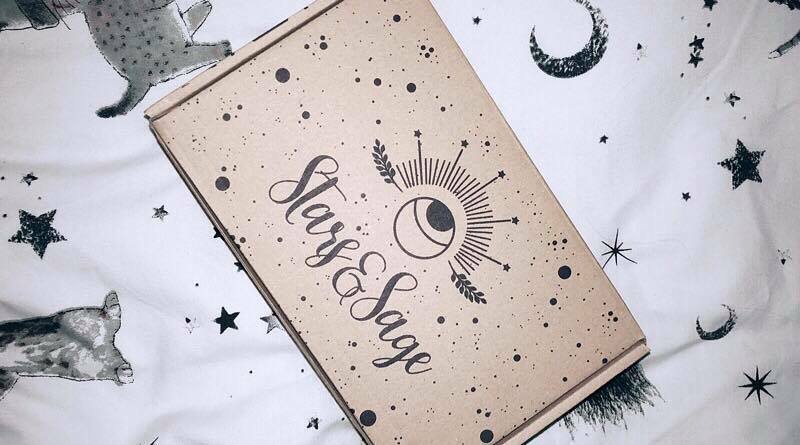 It’s slightly higher in price than some of the leading subscription boxes such as glossy box and birch box, however the products in this Stars & Sage box are really good, and all of the products are sized really well. I received 5 products all together in the Stars & Sage October box and I love every single one of them! Octobers box has a good range of bath and skincare products inside, and the packaging is really pretty! 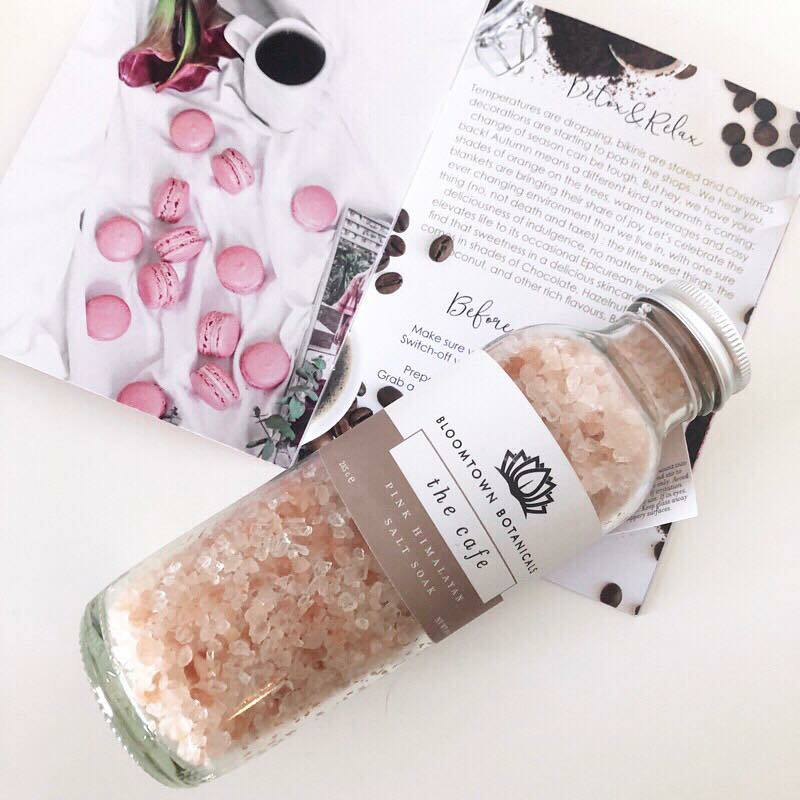 It comes with all of these beautiful products pictured below, as well as a leaflet with all the details of the products inside, and a bath ritual tips leaflet with some great tips to relax and enjoy some self care time. My favourite product in the box. This bottle of mineral rich bath salts smells amazing. It smells of creamy vanilla, and hazelnut. It literally smells good good enough to eat! It’s so soothing and is perfect for a relaxing bath. It’s vegan, cruelty free, paraben free and is hand crafted in Cornwall. This creamy body butter smells gorgeous and is perfect for these cold winter months ahead! 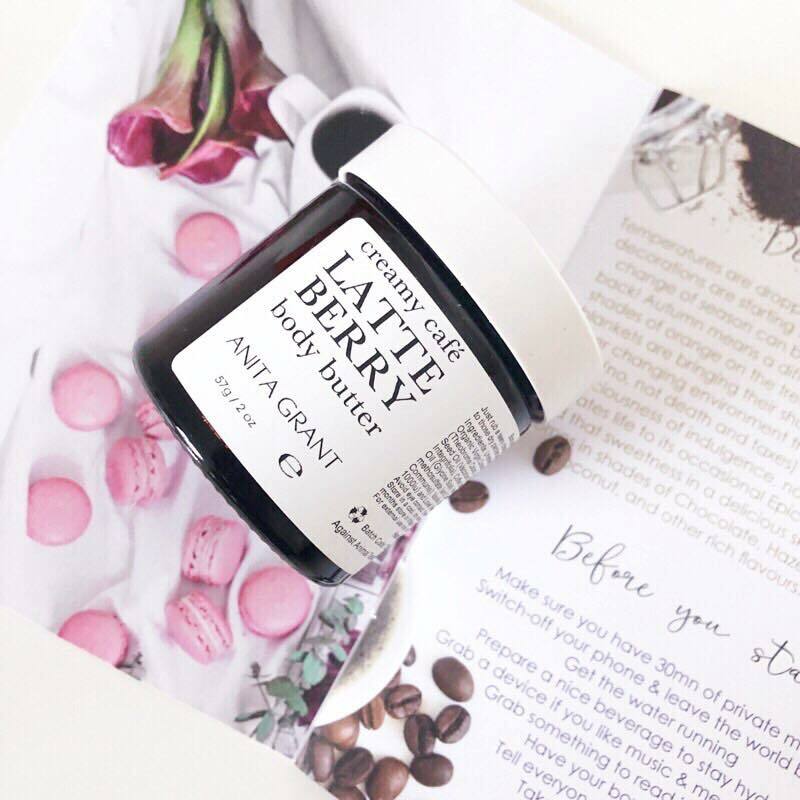 It contains lots of natural ingredients such as Brazilian coffee oil, smooth organic virgin coconut oil, decadent unrefined fair trade black cocoa butter and vitamin enriched goodness of Australian macadamia nut oil. This body butter is amazing and has your skin feeling amazingly soft. It’s vegan friendly, cruelty free, and paraben free. Another amazing product! 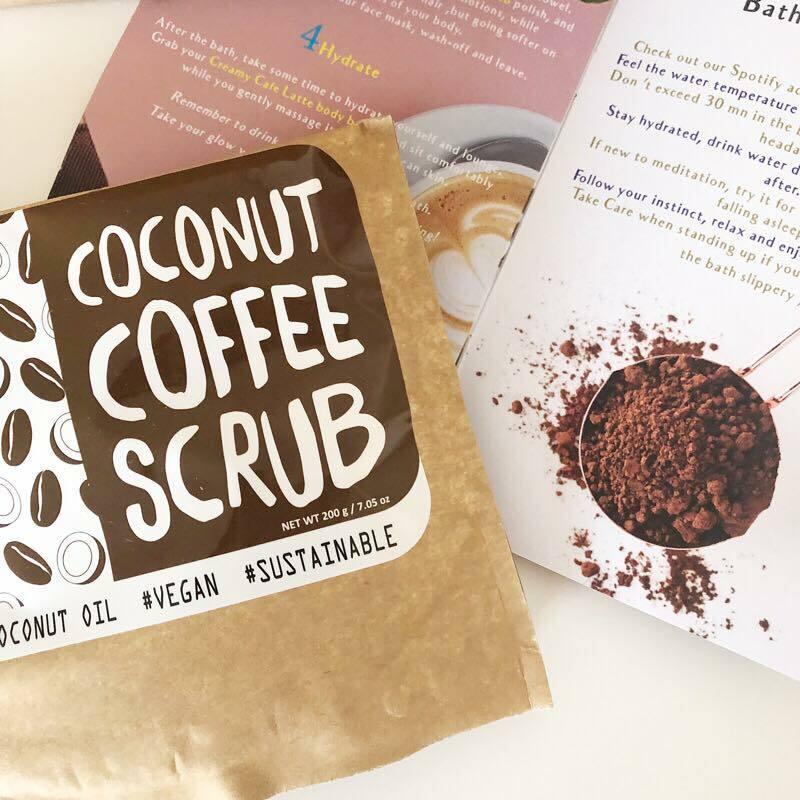 This vegan friendly coconut coffee scrub is made of fresh, finely grounded ingredients and contains nourishing organic coconut oil, watermelon seed oil and coconut pieces. If you love the smell of coffee and coconut, you will LOVE this. Its literally leaves your skin feeling baby smooth. I love this face mask! This mask is blended with raw cocoa powder and clay. This face mask smells of chocolate and vanilla and it literally smells edible! 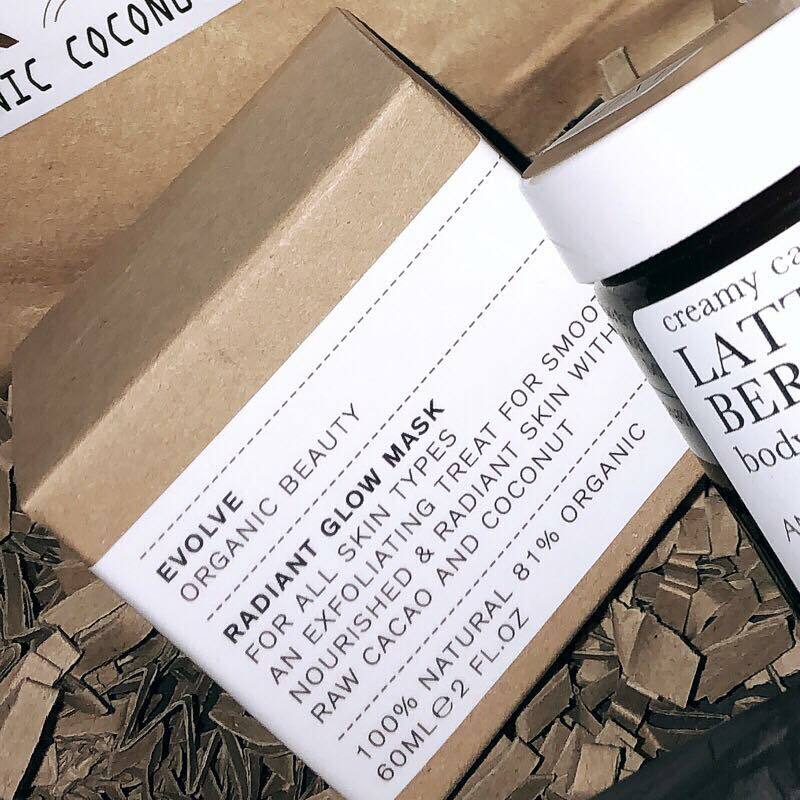 These sachets of edible skincare are packed with potent amounts of amino acids, this dose of hydrolysed collagen helps repair the skin, nourish the brain and enhance natural beauty… what more could a gal want?! I put mine in a hot chocolate drink, I couldn’t taste it, it just tasted like a normal hot chocolate which was fab since it had this collagen sachet in it as well. I’m really impressed with my first stars & sage subscription box. I like every product in it and I will definitely use everything that I have received. 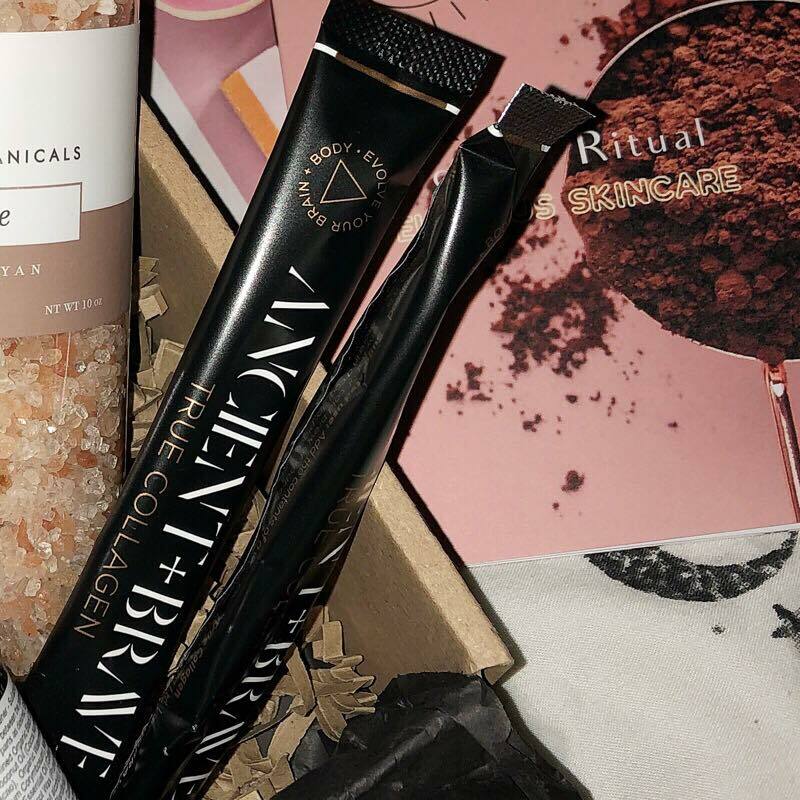 This subscription box is great for all of you cruelty free, natural and ethical brand lovers! If you like the look of Stars & Sage box you can get yours Here. Thank you all for reading! I hope you all have a lovely day.